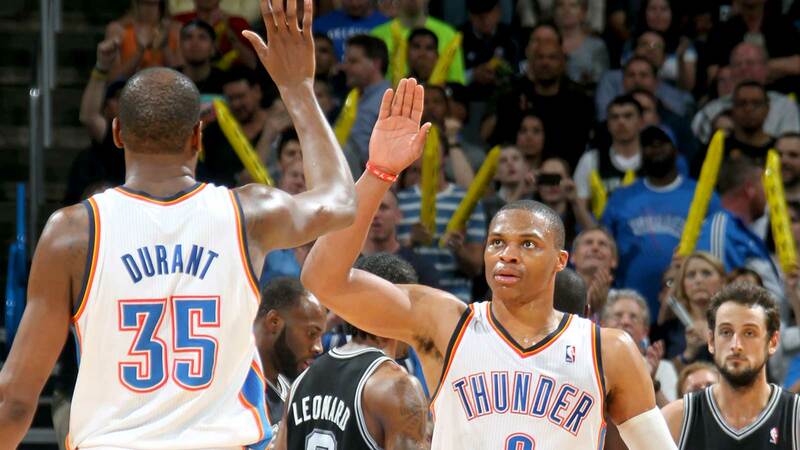 What is the Thunder’s fatal flaw this season? On paper, the Oklahoma City Thunder have as much talent and depth as any team in the league. But figuring out just exactly how that talent and depth meshes — what lineups and player combinations work and in what context — is a tricky task. New Thunder coach Billy Donovan seems like he's up for the job, of course, but it's tough to predict how first-year coaches will adjust to the NBA learning curve, especially ones with success in the college ranks. The Thunder certainly have the potential to win a championship, but we don't know how much certain players they've invested in — Enes Kanter and Dion Waiters, for example — can realistically contribute on a contender. Can either one be in a championship team's eight-man rotation, given their deficiencies (Kanter's defense and Waiters' shot selection)? Any time Kevin Durant, Russell Westbrook and Serge Ibaka suit up together, the Thunder can hang with anyone, no matter the two other players on the floor. But they don't want to “hang” with other elite teams — they want to dominate and beat them. It's certainly possible, but unlikely, unless Donovan figures things out. That's a tall order for a first-year coach, but he knew the pressures he was getting himself into when he took on this job. The past two years, we’ve seen Kevin Durant and Russell Westbrook play some of the best basketball around while the other was hurt. When left alone, either of those guys can take over a game on a level that few other stars can. But they’re not the issue here. The Thunder spent last season adding offensive-minded players such as Enes Kanter, Dion Waiters and Kyle Singler, in no small part because they needed more around Westbrook while Durant missed most of last season. The problem is that Kanter and Waiters make far less sense when Durant and Westbrook are playing together. Fired coach Scott Brooks struggled to settle his rotations, but new coach Billy Donovan has more talent than Brooks ever did to juggle. And given the team’s massive financial commitment to Kanter this summer, it’s hard to see him simply switching back to using Steven Adams as the top center—even if it makes basketball sense.